Home » Joannes Used Books » A Dozen of Magic by Medrington, A.C.P. A Dozen of Magic by Medrington, A.C.P. Auctiva's FREE Scrolling Gallery will enhance your listings. 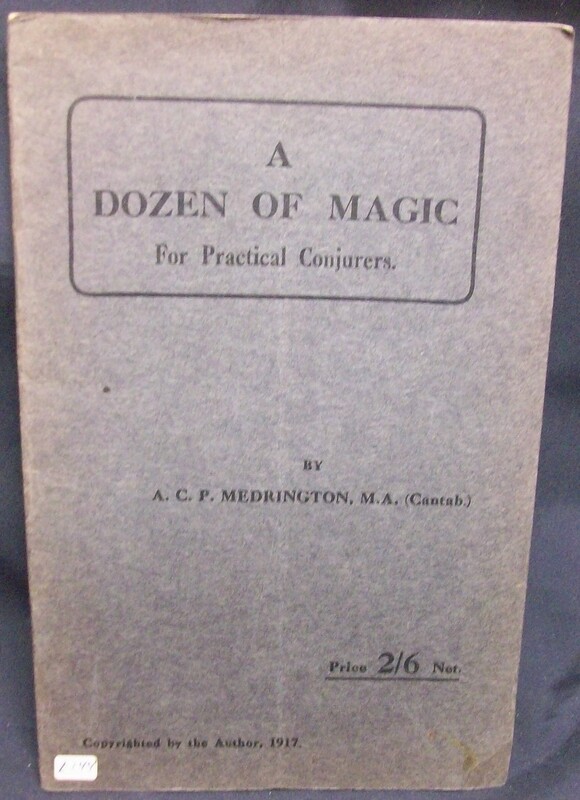 A Dozen of Magic by Medrington, A.C.P. Self Pub. 1917, unstated edition Staple Bound in good condition. Text is clean and unmarked, binding tight, alls staples in place no loose pages, some tanning due to age and paper used. Cover is clean however does have small white sticker with number on it. A nice collectable early magic title. Deals with effects and how effects can make or break and act, patter, and various tricks, 32 pages. Powered by Turbo Lister The free listing tool. List your items fast and easy and manage your active items.